WTCC means World Touring Car Championship and it’s divided to 4 races. It was from 1 May to 3 May. Main race was on Sunday (3rd May) and trainings were on Saturday (2nd May) and Friday (1st May). Tickets for adults costed 4900 Ft, which is apx 20 euros and you could by them at the place (without reserving it on internet before). Children were free. I was only at 3 races, because then, after 3rd I had to go home. On 1st race the contestants drove in racing cars. It was divided to categories and in main (best) was first Ficzka from Hungary. On 2nd race were contestants (other than in 1st race) in formulas and it was very loud, I bet people in Budapest heard them. On 3rd race were racings cars again and the contestans were other, too. In first part won Lopéz and in second won Michelisz. 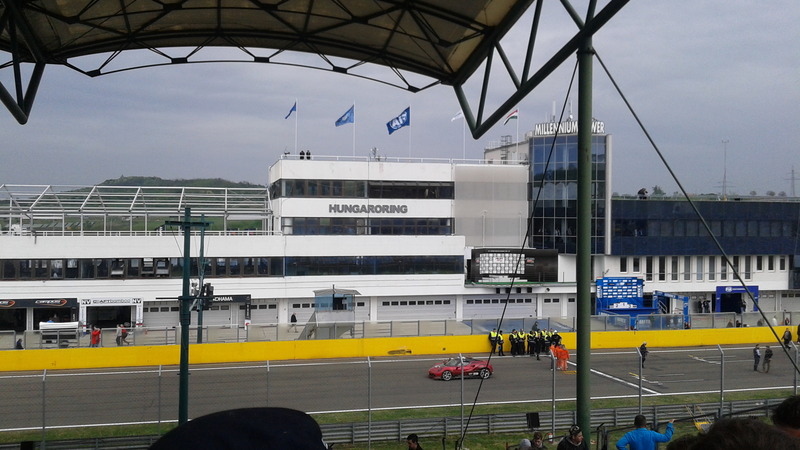 It was organized in Hungaroring, which is a huge track for every vehicle. It’s near Budapest (apx 5 km) on her east side (M3 from Miskolc to Budapest). Next Next post: FRESH. NEW. START!